If your WhatsApp contact list is huge and increasingly difficult to manage, it may be best to delete some of the contacts that you no longer talk to. 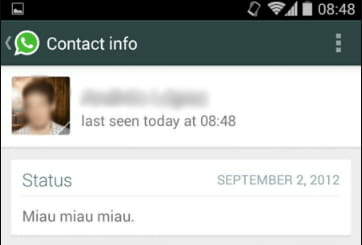 WhatsApp uses the your mobile device's phone book to create your contact list. Therefore, deleting a contact from WhatsApp will also remove it from your phone's contacts. This can be done via WhatsApp or directly from your phone book. Press Delete (button in the shape of a trash can) > OK.
N.B. While your contact has been removed from your list, this person can still send you messages. To stop receiving their messages, you must block the person on WhatsApp. Published by MelissaCCM. Latest update on February 4, 2018 at 02:13 PM by Olivia Long. 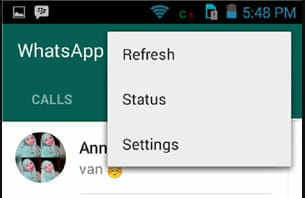 This document, titled "How To Delete a WhatsApp Contact on Android," is available under the Creative Commons license. Any copy, reuse, or modification of the content should be sufficiently credited to CCM (https://ccm.net/).